A three-week waiting period is needed for the casting. A 50% deposit (375.00) is required. The Hatching is a sculpture in aluminum. 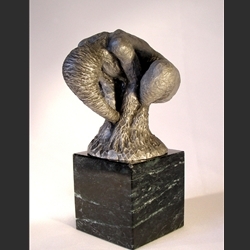 One of the lmited edition of 20 sculptures is currently available for purchase.